I ran into a neighbor whose daughter went to college and left her dog behind. 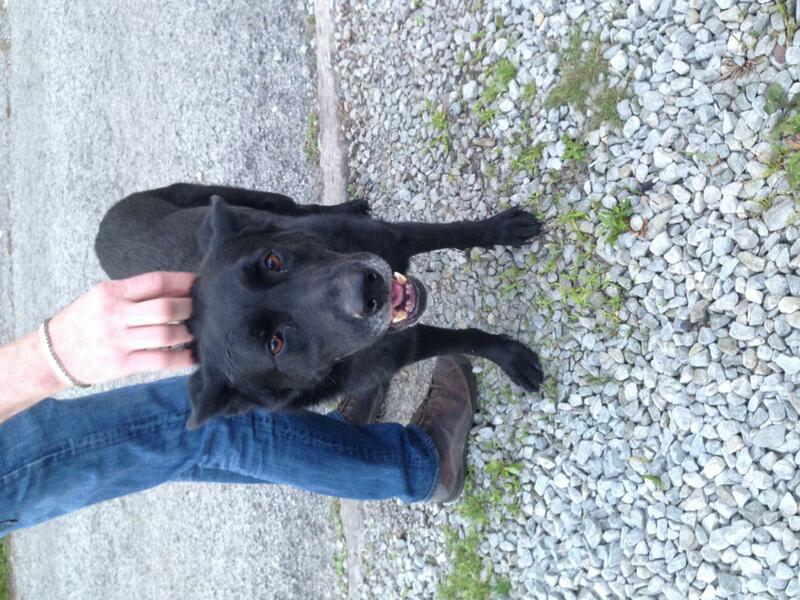 8 year old black female GSD, 82lb, good with children/cats/medium and large dogs (not small dogs). Sad by herself all day. Well trained, walks nicely on a leash. Being treated for heartworm and a tick-borne disease that's not Lyme (owner didn't know which one). She looks healthy otherwise, nice coat and good build, she seems very sweet. Mellow and enjoys laying around the house as long as someone is home. I don't think she has destructive separation anxiety but I'm not sure how else they know she's sad by herself all day. Anyway, a friend of a friend is interested in meeting her, but I thought I'd post this here just in case. Maybe you could get some interest in her on Facebook....I will keep her in mind if anyone is looking for an older dog....but really - at 8? she is probably not as "sad" and is adjusted to her home and situation - moving her to an unknown will be stressful for her - are they upset at having to treat her (expenses??) and that is really why they are wanting to rehome? Maybe they couldn't afford the treatment and knew this way she would have the treatment needed? For anyone who can't afford fast-kill HW treatment at $1500 or so, there's an alternative that's not well known to vets outside a few Gulf States: 30 days of Doxy plus monthly Advantage MULTI (NOT Heartguard) is turning dogs negative in about 12 months. Heavy infections might take 18, and I've seen some test negative in as few as 9. This product behaves very differently on mature HWs than other products because it builds up to a steady-state in the blood, in about 4 months. I've known lots of dogs to go through this successfully without crate rest -- they just aren't allowed to run hard. There's finally published research coming out verifying what we've known for years in rescue, but not many vets know about it. One of the co-authors of the research is a former board member of the American HW Society. Any vet can ask their Bayer rep for the studies -- they'll surely have them, since they're funding them. Fast kill with immiticide is still the gold standard, but for a lot of dogs for whom that's not an option (for health or financial reasons), this alternative is WAY better than no treatment, and FAR better than the old ivermectin slow kill, which took years. If this option can keep an older dog in a loving home that can't afford fast kill treatment, I'm all for it. They can keep the dog on Ad Multi for life -- affordable HW and flea protection combined, for under $15/mo from KVsupply.com (with a vet's RX). Last edited by Magwart; 06-03-2017 at 11:37 AM. He said the dog was on slow-kill treatment. I honestly don't know any more than I wrote about as far as her circumstances. I posted something about her on Facebook yesterday.